With years of practice of this realm, we are accomplished to present a broad series of Condensate Pots. 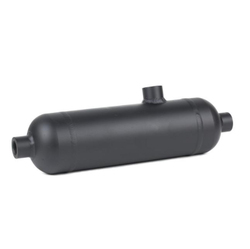 We are engaged in offering wide range of Condensate POT / Seal POT which is applicable in the transport, production and storage of several liquefied gases and other liquid substances. These Condensate POT / Seal Pot are manufactured using Standards ASTM. We offer complete solution of Condensate POT / Seal Pot to various industries.